The IASPEI reference events list is a database of earthquakes and explosions, for which hypocentral information (lat, lon, depth) is known with high confidence (to 10 km or better (GT10)) with seismic signals recorded at regional and/or teleseismic distances. The database is maintained at the International Seismological Centre and currently contains 9698 events from 1959 to 2017. 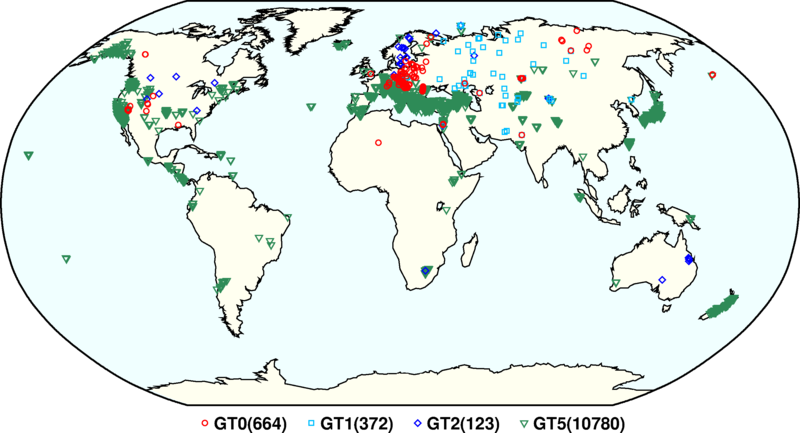 The global effort of collecting and validating GT events was initiated by the CoSOI/IASPEI Working Group on Reference Events for Improved Locations chaired by Bob Engdahl and Paul Richards. Events may now be submitted to the ISC for validation. This database of a significantly large number of reference events facilitates better visualisation of the Earth structure, better modelling of velocities of seismic waves, more accurate travel time determinations and increased accuracy of event locations. The events are coded by category GT0, GT1, GT2 or GT5, where the epicentre of a GTX event is known to within X km, to a 95% confidence level. GT1 and GT2 events are typically explosions, mine blasts or rock bursts either associated to explosion phenomenology located upon overhead imagery with seismically determined origin times, or precisely located by in-mine seismic networks. GT1-2 events are assumed to be shallow, but depth is unknown. 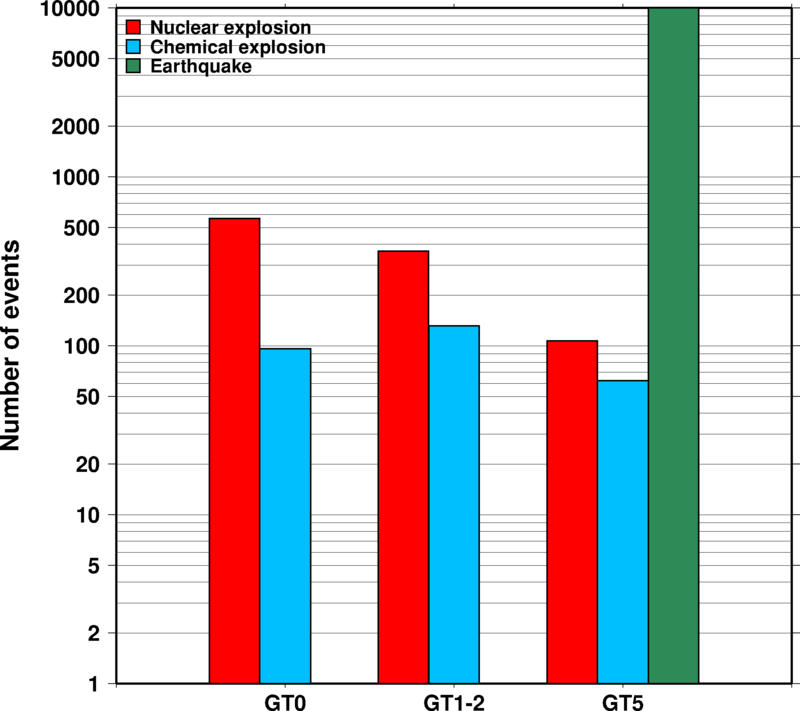 GT5 events (typically earthquakes with crustal depths) identified using either the method of Bondár et al (2008) (2,275 events) or Bondár and McLaughlin (2009), which are updated regularly from the EHB and ISC Bulletins. Bennett, T., V. Oancea, B. Barker, Y.-L. Kung, M. Bahavar, B. Kohl, J. Murphy, I.Bondár (2010) The nuclear explosion database NEDB: a new database and web site for accessing nuclear explosion source information and waveforms, Seismological Research Letters, Volume 81, doi:10.1785/gssrl.81.1.12. Bondár, I. and K.L. McLaughlin (2009) A New Ground Truth Data Set For Seismic Studies, Seismological Research Letters, Volume 80, Number 3, 465-472. Bondár, E. Engdahl, X. Yang, H. Ghalib, A. Hofstetter, V. Kirichenko, R. Wagner, I. Gupta, G. Ekström, E. Bergman, H. Israelsson, and K. McLaughlin (2004) Collection of a reference event set for regional and teleseismic location calibration, Bulletin of the Seismological Society of America, Volume 94, 1528-1545. 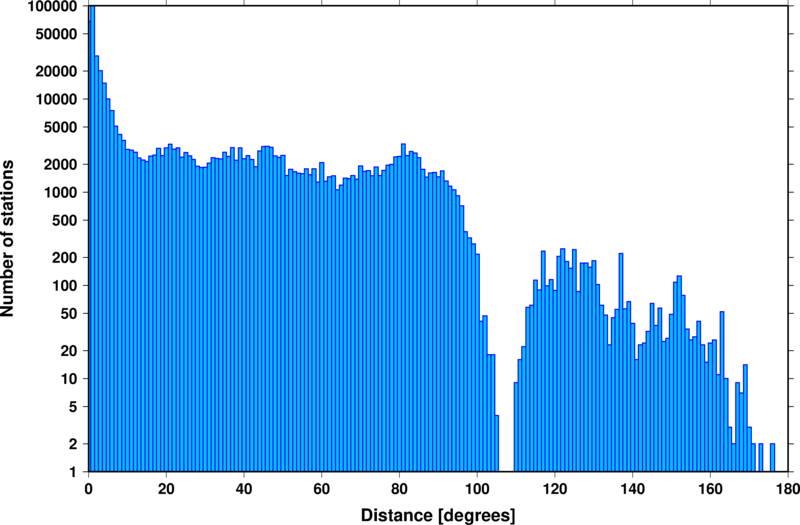 Bondár, E. Bergman, E. Engdahl, B. Kohl, Y.-L. Kung, and K. McLaughlin (2008) A hybrid multiple event location technique to obtain ground truth event locations, Geophys. Journal Int., Volume 175, doi:10.1111/j.1365,246X.2008.03,867x. International Seismological Centre, Reference Event Bulletin, http://www.isc.ac.uk, Internatl. Seis. Cent., Thatcham, United Kingdom, 2008.